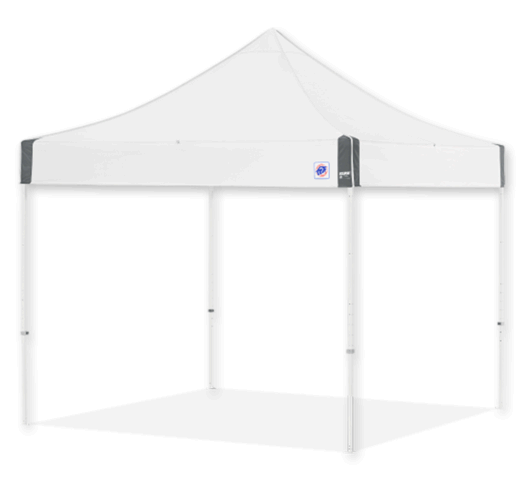 This "best in class" E-Z UP canopy tent features a white steel frame and white canopy. 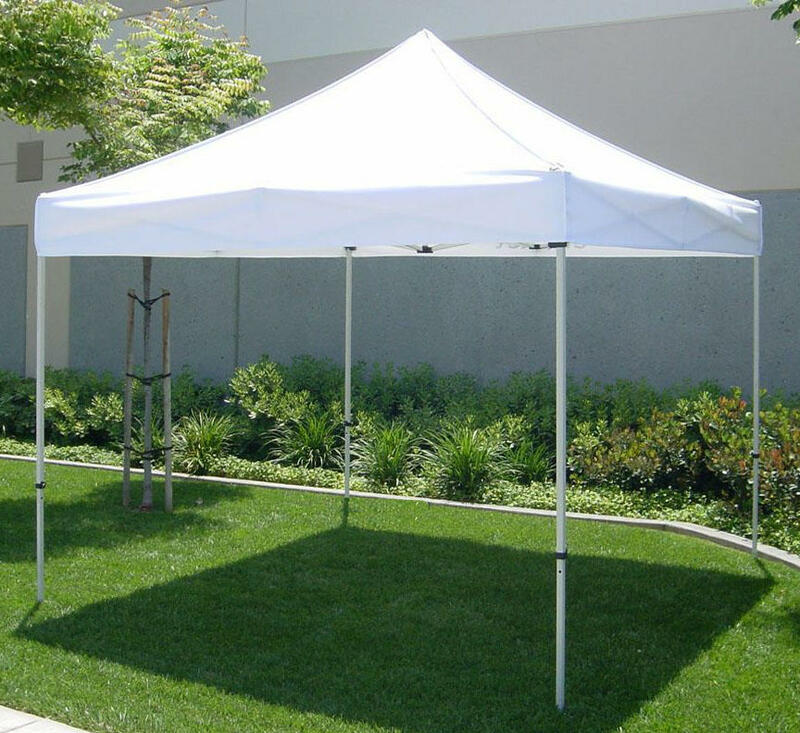 Designed to look great and be a safe and secure shelter for any occasion. 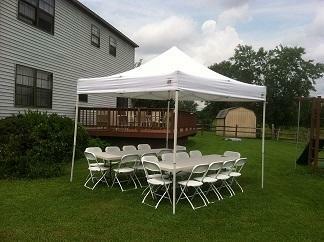 Capacity: Can accommodate 1 round or 2 rectangular table(s) and 10-20 chairs.